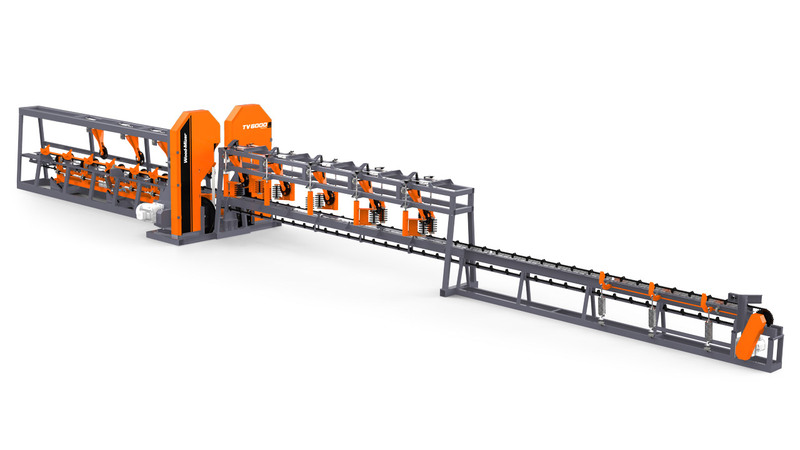 The TITAN TV4000 and TV6000 are our larger and most robust primary breakdown twin-vertical saws. Both models make use of the same heavy duty, automated infeed and outfeed systems, but differ in blade size and production capacity. The main priority at this primary stage in the log breakdown process is to achieve equal open faces on the sawn cant. This allows for higher recovery down the line at the multirip or gang saw. 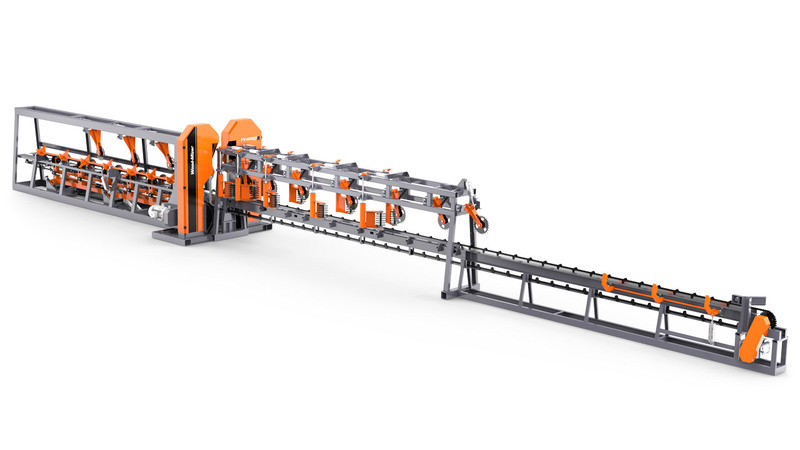 Our TITAN Twinbands achieve equal open face cutting using a fast and accurate log loading system coupled with pressurised hold-down rollers and a spiky-feed chain.